OH MY GOD YOU GUYS. 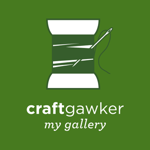 I MADE IT. 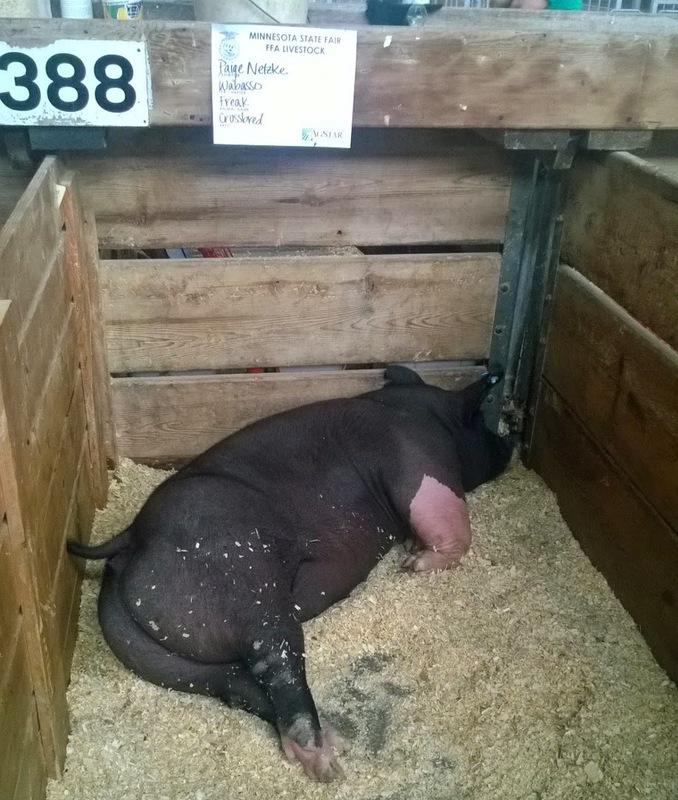 I MADE IT TO THE MINNESOTA STATE FAIR. So after about ten years of being with Charlie and unsuccessfully timing our visits to Minnesota, we just so happened to be in town so we went and I ate everything. Well not everything. Probably only about 1% of what the fair had to offer, but we did our research and the 1% we did have was absolutely outstanding. Ready? Are you ready? Hold on to your corn husks. So we started early. Like 8:30 early and we bee lined for the bacon wrapped turkey leg from Texas Steak Out. Words can not describe how delicious this was. Even though we were diligently trying to pace ourselves, we nearly polished this off. It was first smoked and then wrapped with bacon and grilled and then kept warm on top of a bed of onions. I can't even handle it. 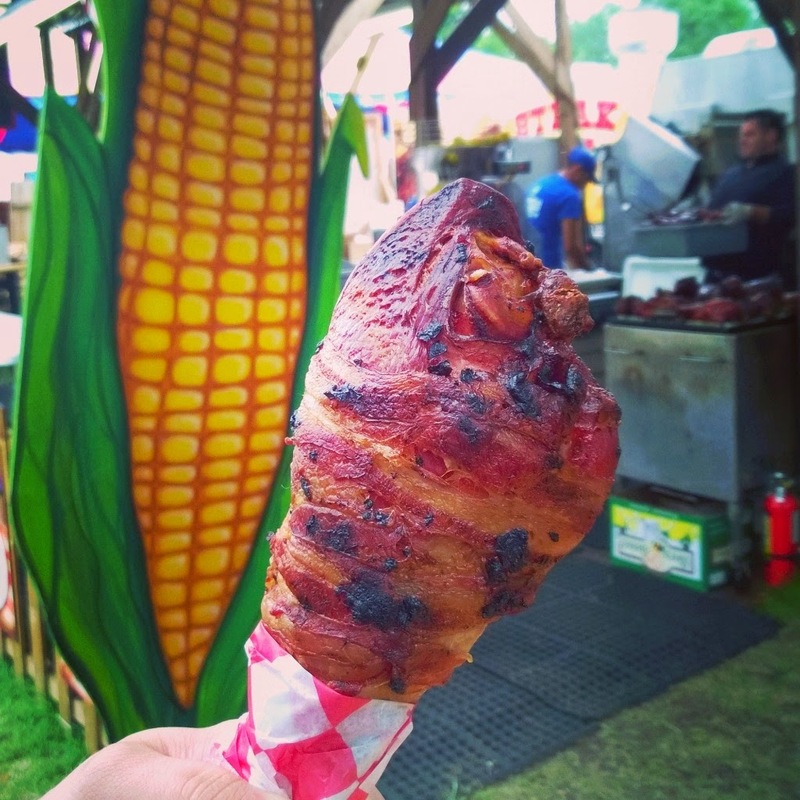 The Corn Roast is famous at the Minnesota State Fair. They roast super sweet, tender corn in the husks, peel it back, dip it (legit DIP IT) in butter and then let you season it with S&P. It was amazing. 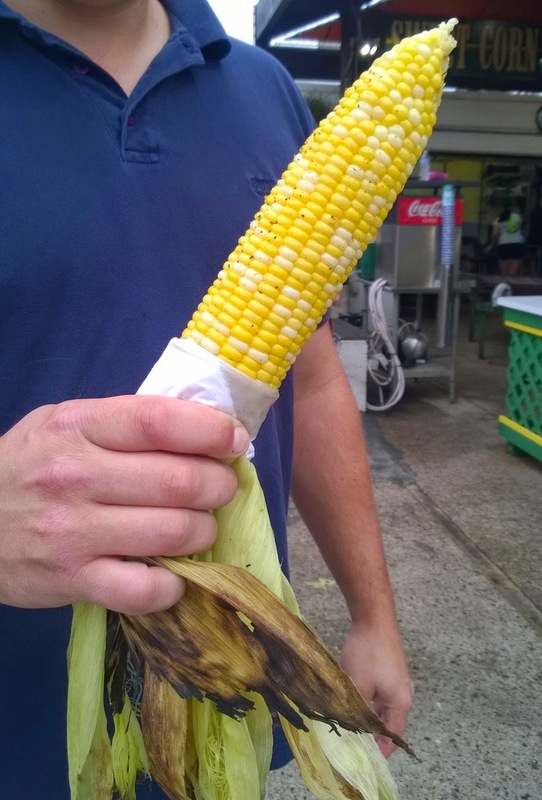 Exactly what you'd expect sweet, in season corn to taste like. So...those of you that are familiar with the fair know that they serve everything you can imagine on a stick. Like everything. 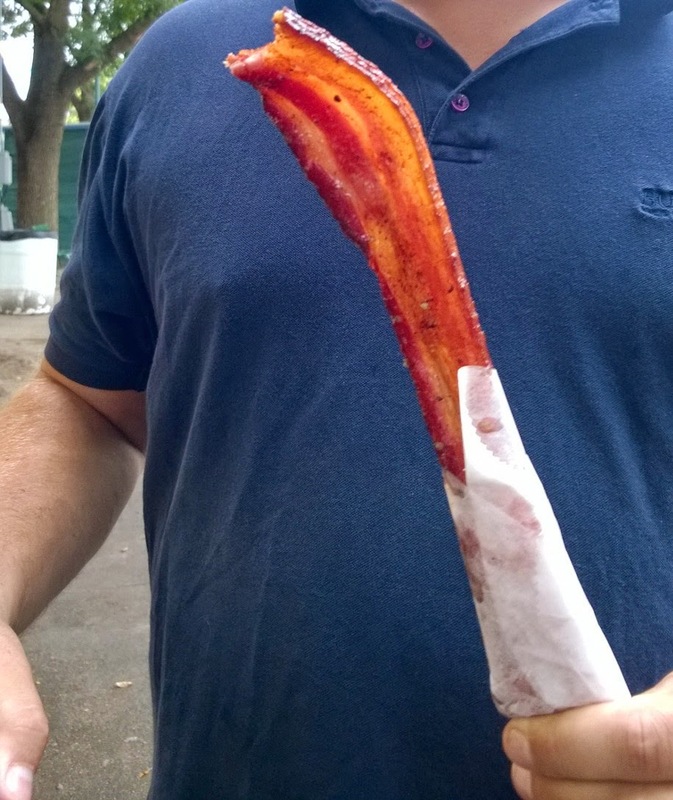 I can do without the deep fried Oreo on a stick, or the meatloaf dinner on a stick, but there was no denying that Big Fat Bacon's bacon on a stick was meant for me. It was cooked PERFECTLY. Thick cut, salty, crispy, but not too crispy...and they give you chocolate to drizzle on it. Sounds weird but it wassssssnnnn't. I die. For bacon. I die for bacon a stick. So these Australian potatoes were not part of the plan. But we couldn't help ourselves. They looked so crazy good and different. 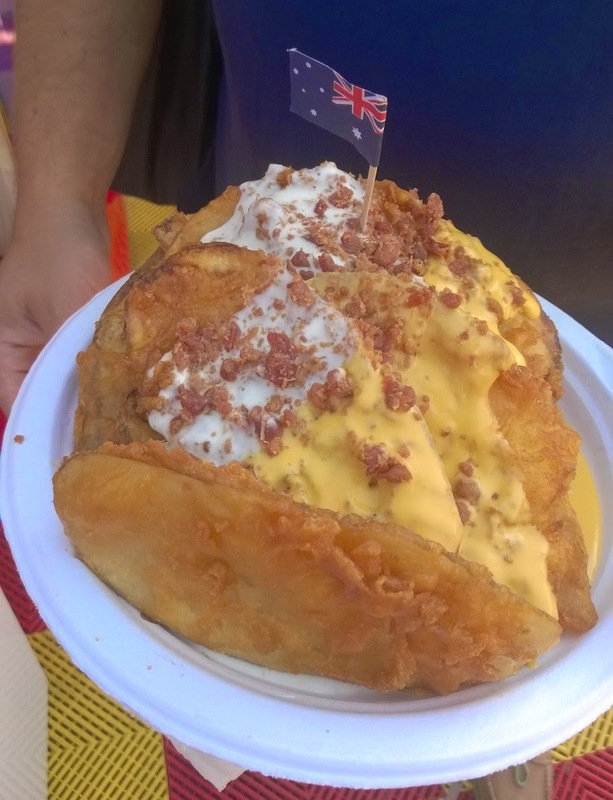 They are sliced potatoes, battered and deep fried and topped with cheese or ranch sauce (or both plus bacon if you're me and Charlie). We also added some dark malt vinegar that was life changing. I think the camera lens is cloudy from my greasy little finger prints. So you guys know that I like sweets but they have to be really over the top crazy special for me to have more than a couple of bites. Let me put it this way. 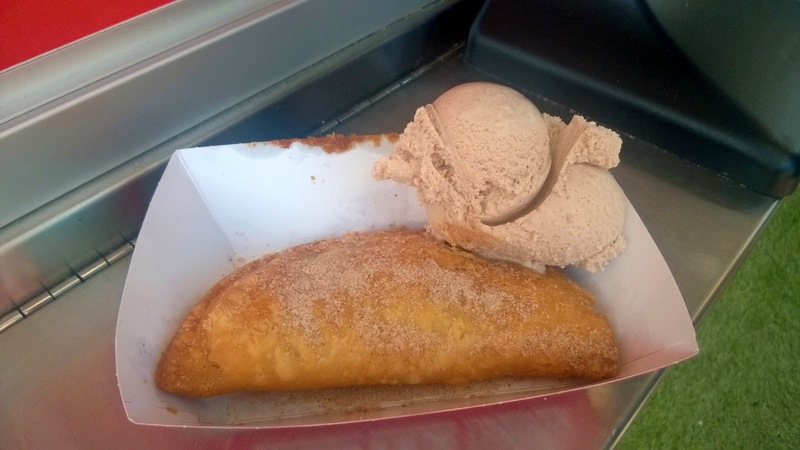 I was mowing this - Minneaple Pie's deep fried pumpkin pie with cinnamon ice cream. This wasn't just good because it was deep fried. The crust was super duper flaky and the pumpkin filling was sweet but not too sweet and the ICE CREAM. I can't. If I didn't pack my suitcase to the absolute MAX I would have smuggled three of these home with me. Yawn. Cheese curds. Actually...I shouldn't say yawn. 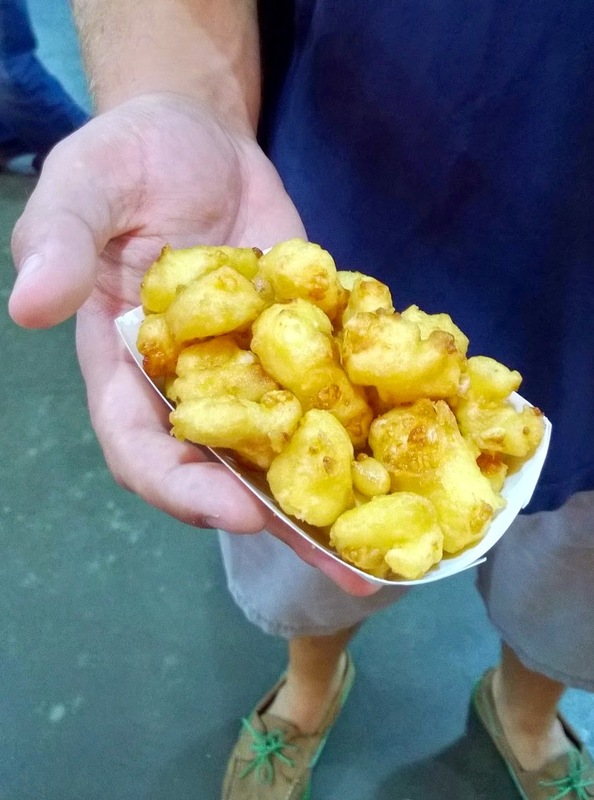 In light of all of the other fantastic and unique food we had, the Minnesota State Fair staple - battered dipped and deep fried cheese curds - were amazing. I've just had them before. Sweet Martha's chocolate chip cookies were everything I dreamed of and more. They were lovingly and magically made and piled high for us to enjoy. Ok - so funny story. 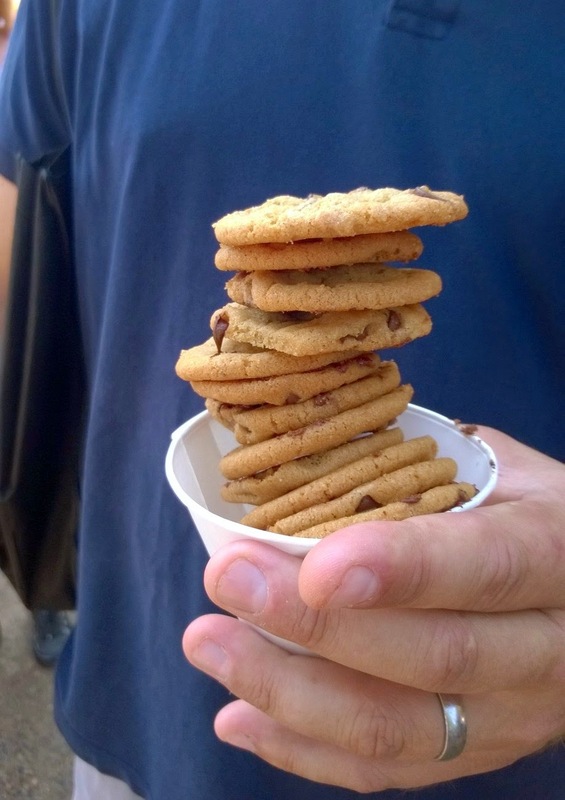 We were nearing the end of our food tour and I couldn't bare to throw these out but I literally could not eat another bite. Well not literally because I ordered a Dole Whip after (see below). Anyway, we wrapped several napkins around the top and then fashioned them with a hair elastic to seal the cookies in the cone. My hair looked INSANE but I didn't care. 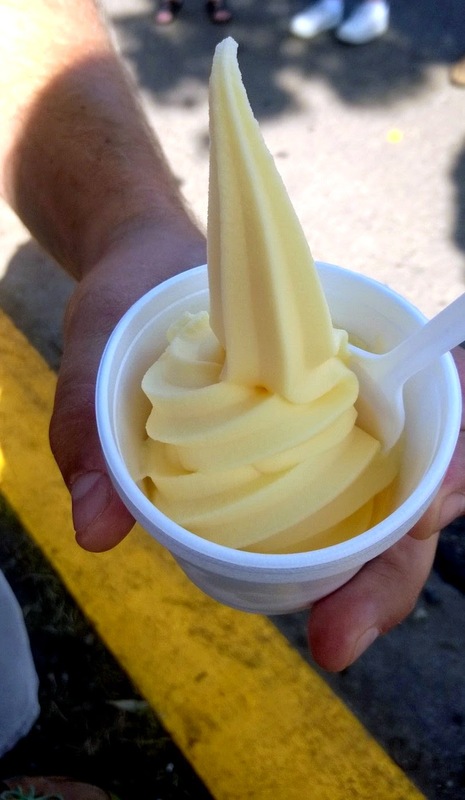 Ah, Dole Whip. How I love thee. They ran out of the vanilla swirl, so I was left with just the pineapple portion but I just had to have it. The only other place I have EVER seen Dole Whip is at Disney next to the Pirates of the Caribbean ride. So I had to. I just had to. This is a picture of me after the food tour. Just kidding. I didn't take a nap. 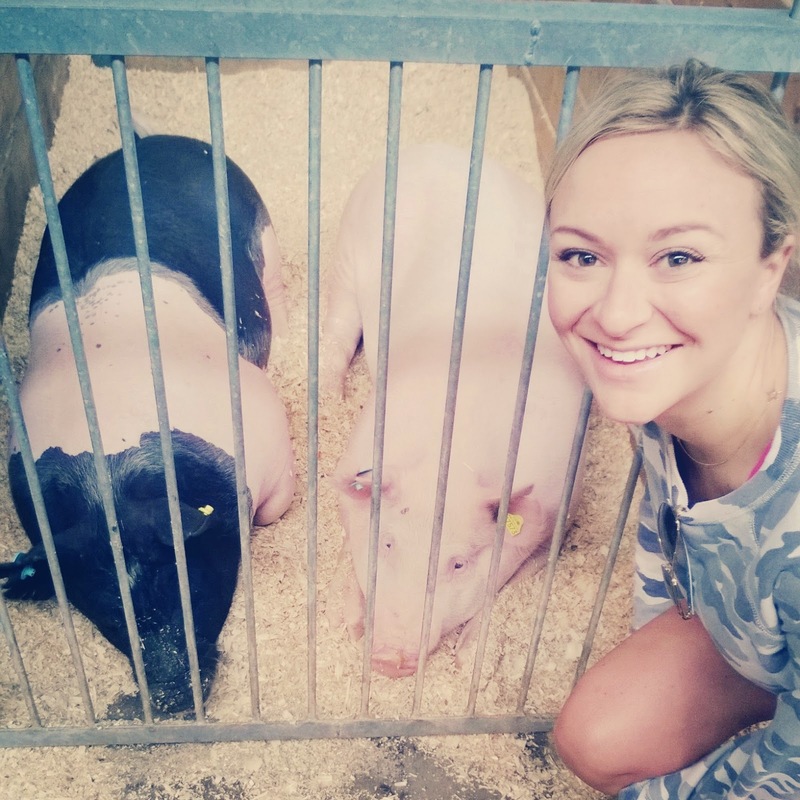 We visited the animal barns. The deep enjoyment I got from this sheep is just embarrassing. I keep looking at this picture and just cracking up. 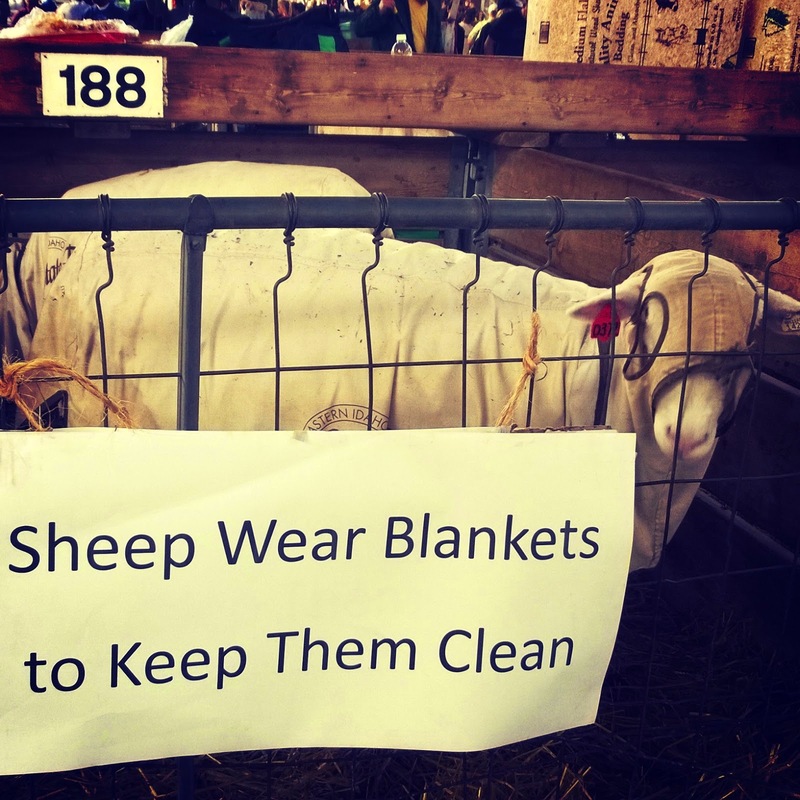 I mean OBVIOUSLY sheep wear blankets to keep them clean. Here I am thoroughly enjoying my first fair visit. So little time so many places to visit and try. I'll be back, fair - I'll be back!